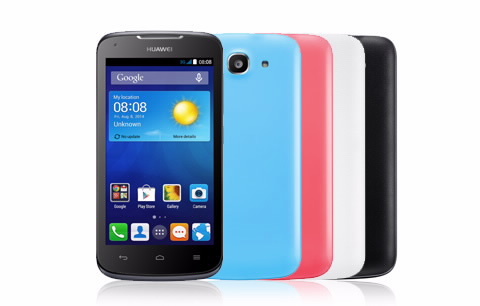 These are the guidelines to install a custom recovery on the Huawei Ascend Y520 smartphone. The custom recovery we are installing today is the ClockworkMod Recovery which utilizes the Volume and Power buttons much the same way as your stock recovery would. You must have the bootloader unlocked before you can install CWM Recovery on the Huawei Ascend Y520 smartphone. Installing a custom recovery image on your Huawei Ascend Y520 device represents an unofficial operation and is to be considered part of customizing your device away from how your manufacturer intended it to be used. For that reason, you will lose the warranty and should definitely take a backup of your data so you can restore it later. Installing a new recovery will not wipe your data unless you are unlocking the bootloader. Have the USB Debugging Mode enabled on the Huawei Ascend Y520 device by tapping on the Menu > Settings > Developer Options > USB Debugging Mode. Download the SP Flash Tool from this link . Download the required scatter file from this link . Download the CWM Recovery package from this link . Turn off the Huawei Ascend Y520 completely by holding down the Power button for a maximum of 10 seconds. Extract the SP Flash Tool by right-clicking > extract here on the desktop and run it so it’s open. Upload your scatter file and the CWM file to the Flash Tool. Connect the Ascend Y520 smartphone to the computer with the USB cable (with it still turned off completely). Click the ‘Download’ button from the Flash Tool’s user-interface and the custom recovery file wil be downloaded to your device. Wait until it tells you that your device is done with the flashing and then reboot your smartphone directly to recovery mode using the hardware button combination for that. Sometimes a custom recovery can be wiped during the first time boot and replaced by the stock recovery if you do not boot the device directly to the new CWM Recovery you just flashed.